In the first six months of 2018, Swiss companies exported machinery products in the value of 1.45 billion CHF to China and Hong Kong, a plus of 10.2% compared to the first half of 2017. China’s thirst for automation increases the demand for high quality machines. 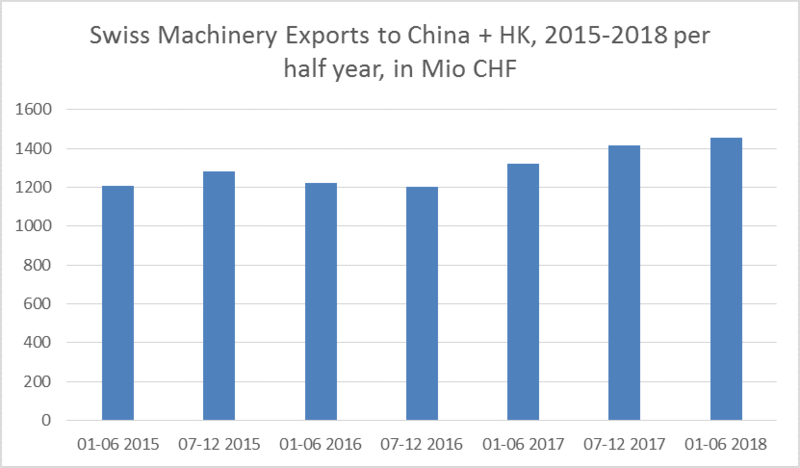 China and Hong Kong remain the third biggest market for Swiss machinery exports, behind Germany (4.1 bio CHF) and the USA (1.8 bio CHF). Due to the increasing spending power of the growing Chinese middle class, Swiss watches and precision instrument exports to China and Hong Kong grew by astonishing 17.5% to a value of almost 4 billion CHF in the first half of 2018. Shanghai (July 26, 2018) – In the first six months of 2018, Switzerland exported goods in the value of 8.9 billion Swiss francs to China and Hong Kong, according to recent figures by the Swiss Federal Customs Administration. Compared to the first half of 2017, that is a plus of 6.9%. One of the main drivers of the Swiss export growth was the machinery industry. In the first six months of 2018, Swiss machinery exports to China and Hong Kong grew by 10.2% compared to the year before. 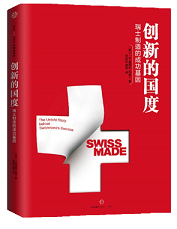 “Machinery goods in the value of 1.45 billion Swiss francs have been exported to China and Hong Kong”, reports Nicolas Musy, Founder and Delegate of the Board of Swiss Centers in China, a non-profit organization that lowers the market entry barriers of Swiss companies into Asia.